"Fruit Trees" by Klimt, Nature Oil Painting. 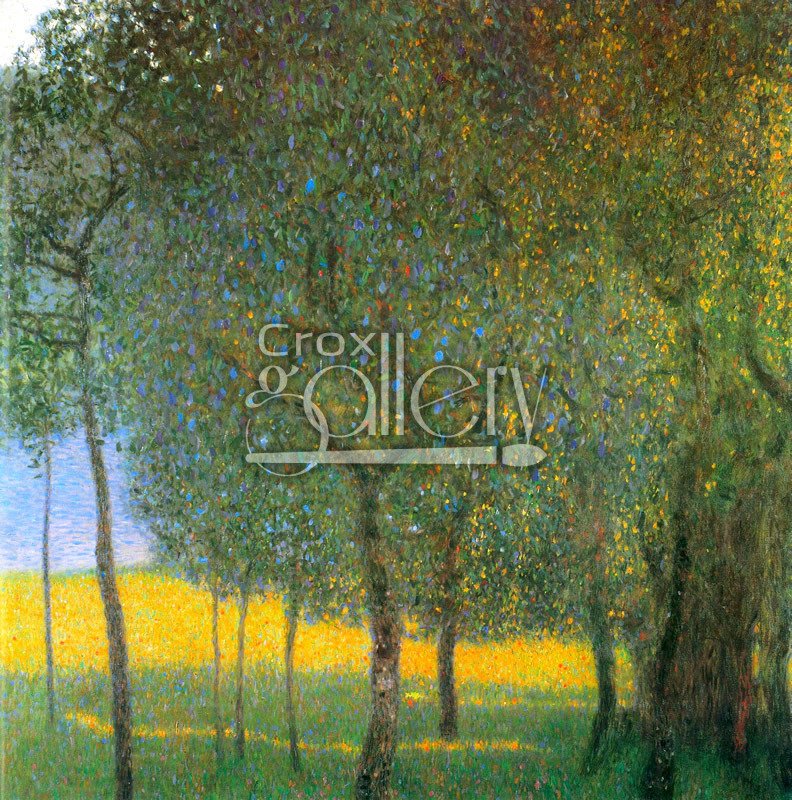 This painting by Gustav Klimt shows a splendid green landscape with fruit trees, featuring luminous effects. 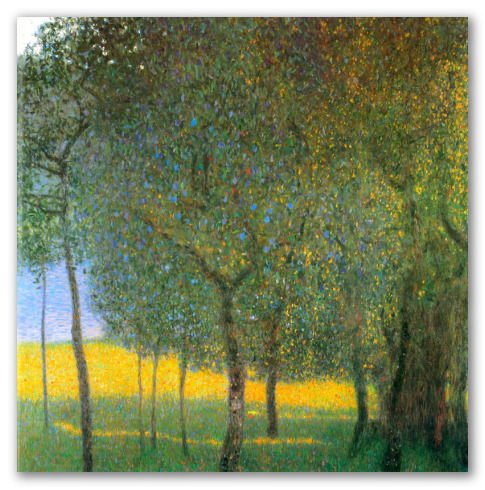 Although this type of landscape is not common for the artist, Klimt succeeded in creating an image of nature evoking serenity and solitude, essential for a countryside setting.